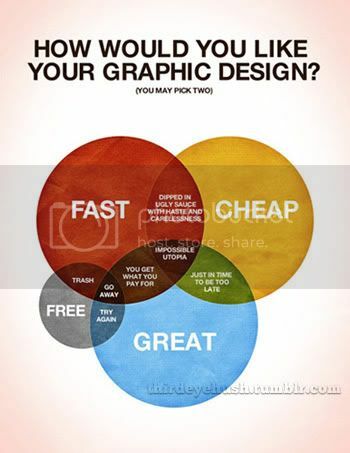 I bet every designer wishes that clients would see this and take heed of it. Client: “I’ve spoken to my accountant, and he said you were too expensive, that he could find me another designer for half your price, but I want to work with you, can we renegotiate? Me: “How much are you paying your accountant? I’m sure I can find you a cheaper one. Don't bully the poor accountant.